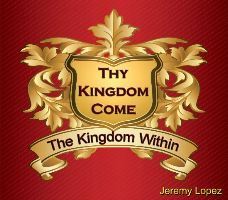 Thy Kingdom Come!!!! This revelational teaching will show you how to activate the power of the Kingdom of God in your life!! We are not called to wait around for Jesus to come back! We are called to occupy until He comes!! He desires to come back TODAY for you as your Sanctifier, Purifier, All Consumer Fire, Redeemer, Ever Present Help, etc. Bring the Kingdom of God down to earth. His model prayer for us is to pray "thy Kingdom Come, Thy Will Be Done, On Earth as it is in Heaven." "Jeremy Lopez does an excellent job of explaining the apostolic decree and how it works to release the authority of the Kingdom of Heaven. Listening to this CD invites you into the greater depths and encourages you to press in for more of what God has for us through His Spirit and Word."